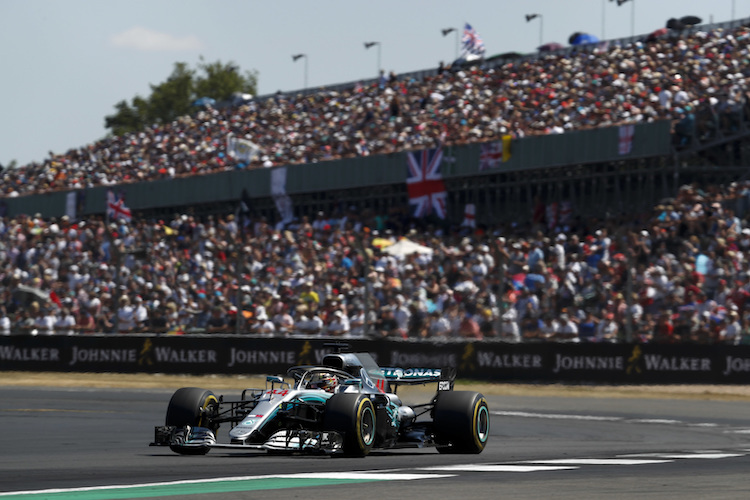 View the vast range of clothing and accessories for the 2019 Formula 1 World Champion Lewis Hamilton and the Mercedes AMG Petronas F1 team. The team has now launched their 2019 range including t-shirts caps and jackets. Their is are also a separate range by driver with a number of items specific to Valtteri Bottas and Lewis Hamilton. 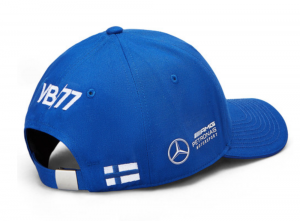 The 2019 Mercedes F1 merchandise range sees a whole host of items including key rings, bottle openers and lanyards, to clothing such as team/driver baseball caps, round neck t-shirts, polo shirts, button up shirts and team jackets. The range is huge – there’s something for everyone! Our personal favourite is the long sleeve (L/S) black t-shirt which you’ll see Lewis Hamilton kicking around in the paddock in this year. Looking for gifts? 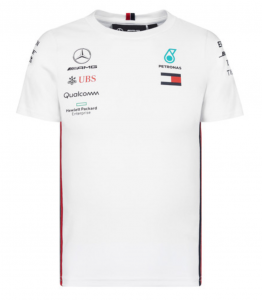 Mercedes have added t-shirts for kids and ladies and there are lots of lower prices accessories to choose from. 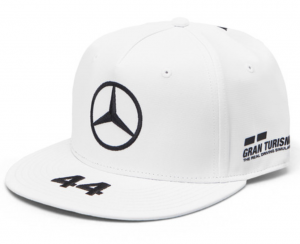 I want Mercedes AMG Petronas 2016 Lewis Hamilton Flatbrim Cap – Grey in India,how much will it cost me? Hi Aditya, Have you selected India on the postal options?